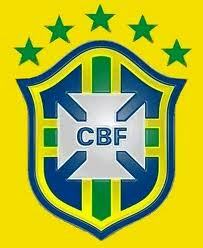 The Brazilian national team will play two friendlies in Brazil over the next week. First, on Saturday in Goiânia, a rematch of the quarter-final game with Holland that ended Brazil’s campaign in last year’s World Cup. 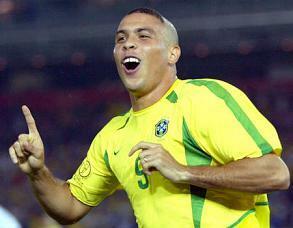 And then on the following Tuessday, Ronaldo’s farewell game, against Romania, held at the Pacaembu stadium in São Paulo. On the 19th of May, Brazil coach Mano Menezes announced the roster for those games and gave us a decent idea of the team he’ll use for the upcoming Copa América in Argentina. The list includes 28 players for the two friendlies, plus Ronaldo, who will only play for some part of the first half of the second friendly. The plan is for Ronaldo not to be a starter in that game, but to come on as a substitute some time before the first half ends. There will be some kind of celebration at halftime, and then Ronaldo’s time with the Seleção will be over. Another player will take his place in the second half of the Romania friendly, and the Seleção’s post-Ronaldo era will officially begin. 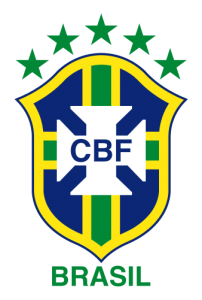 International qualifiers and friendlies upon us, we look to the wit and wisdom of our Brazilian correspondent Mark Gannon to sort through the samba boys selection vs Scotland for this Sunday, and answer the question, why no Robinho? Yet another chance to display gratuitous bare torso/boobage. FWIW, Mano says he’s letting Robinho rest now, but that he’ll be counting on Robinho for Copa América. And he made a point of reminding everyone that Robinho has been on every one of Mano’s previous lists. I wouldn’t mind seeing Mano go wild testing players for a few games, but I also wouldn’t mind if he started to settle on a group of starters. Either way. I don’t see what he sees in André Santos, but finally Marcelo is getting some love, even if in Mano’s mind he’s just André’s backup. If I were Marcelo, I probably would have gone postal early last year when people were talking about Roberto Carlos (ferchrissakes) on the squad for the World Cup, and they weren’t joking. I was just saying yesterday that Maicon is somebody who could still help the team. It’s really too bad there’s no way to have two right wingbacks. Call it the US journalism formation or something. I don’t care. It would put Dani Alves and Maicon on the field at the same time for the same team. Dani is versatile enough to play either wingback position or a midfield position, but his natural and best position is the same as Maicon’s. This is a good kind of problem to have. It’s kind of entertaining that there are two players called Lucas on this list. There’s the young attacking middie from São Paulo (DAMN HIM) who played really well in the U20 South American championship and there’s the volante Lucas y’all prob’ly know from Liverpool. I don’t know much about the Liverpool Lucas. 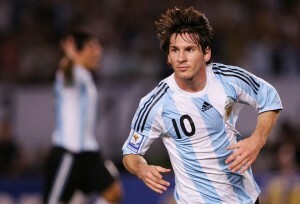 I’ve seen him play for the seleção a few times, and I caught part of a Tottenham game once. I was never overwhelmed, but I assumed there was a reason he was getting paid well to play in England and why he was on the seleção several times. A bit belatedly, we’re bringing you the conclusion of our “Ronaldo retires” discussion—a conversation that had been stewing for long before the official announcement came last week. Who could ignore his battle with fitness? Still, no one could deny that he was one of the most effective strikers to ever play the game. While we dwell a bit on his ignominious end, let’s also remember some of his early greatness—check out the footage from his time at PSV and Barça below. And as always, obrigado to our man in Brasil, Mark Gannon for the incisive input! Ronaldo has definitely gotten fat. Not “heavy for a player” or “a little overweight” or anything like that. He’s fat. When he was first signed, I joked that I couldn’t imagine where Corinthians managed to find a team shirt big enough for him. 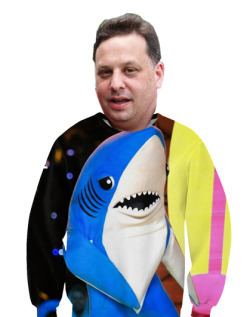 This year, I have actually wondered where they got his shirts. But here’s the thing: even fat, Ronaldo could actually be effective. Corinthians, much to the delight of fans of the other major teams in São Paulo, failed to get past Tolima, a Colombian club of which most Brazilians were unaware before this matchup, to get to the group phase of Libertadores. In the São Paulo leg of the home-and-home “pre-Libertadores” matches between Corinthians and Tolima, Tolima played much better than I ever would have expected and completely deserved at least the 0-0 tie it got. In the second game, in Colombia, Tolima played slightly worse than it had in the first game, and Corinthians continued not playing well. Tolima ended up winning 2-0, and even though I thought the Colombian team had played better in the first leg, the 2-0 result was not unfair at all. Anyway, in those matches, the moments when I thought Corinthians was closest to actually scoring were when somebody managed to get the ball to Ronaldo. Yes, he’s fat and slow, but he has not forgotten what he knew about positioning, and he didn’t forget how to shoot either. Given how much Ronaldo talked about Libertadores when he announced that he would come back to play one more year, as soon as it was clear Corinthians was going to be eliminated before even making the group phase of Libertadores, I wondered whether he might retire sooner than the end of the year. By Saturday night there were rumors all over that he would retire on Monday. On Sunday, everyone was reporting that he would retire and even saying it had been confirmed, even though Ronaldo’s press conference remained scheduled for Monday. One more little tidbit. They tell me that in his press conference, Ronaldo claimed that his weight problem is the result of a thyroid condition. I’m not sure if it’s true, but it wouldn’t surprise me. When Ronaldo had to have surgery on an injured hand, he had some liposuction too, and when I saw him afterward, I wondered if the liposuction stories had been just unconfirmed (and false) rumors. He’s had big problems with his weight, and I don’t buy that he “isn’t trying” to lose weight, as many self-appointed amateur nutritionist-trainer-psychologist-endocrinologists have asserted. I’ll be interested to see if he does lose weight now. The Brazilian Championship ended Sunday. I’d love to be able to write a gushing post about what a great end the tournament had. Unfortunately, people in power in Brazilian soccer (and my stubborn insistence on knowing things and not forgetting them) ruined it for me. So here’s a warning: if you don’t want to see the filthy underbelly of Brazilian soccer, don’t read the rest of this post. I will make another post soon running down some of the good things about the 2010 Brazilian Championship, but this one contains some really ugly truth. 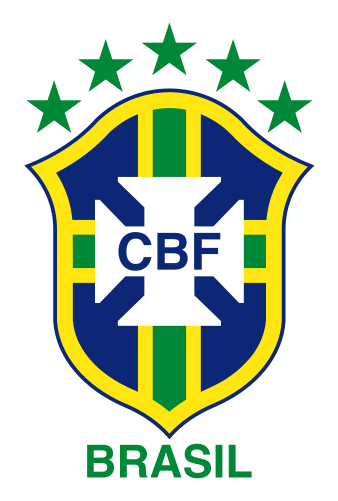 if you’ve read anything I’ve written about soccer, you know I like Brazilian soccer, the Brazilian national soccer teams, and lots of Brazilian players. But there are Brazilians I don’t like, or who I think are overrated, or both. Today I’d like to tell you about a major figure in Brazilian soccer, a coach who is both dishonest and not all that great at coaching, but who continues to be treated and paid as if he were one of the top Brazilian coaches. His name even comes up when the speculation about the seleção’s next coach starts every time one quits, gets fired, or just has a bad game. I’m talking about Vanderlei Luxemburgo. Anyone who follows Brazilian soccer knows who Vanderlei Luxemburgo is, and some of the most die-hard Barcelona and especially Real Madrid fans preparing themselves for Monday’s big game might remember him. For the rest of you, here’s a chance to get to know a bit about somebody who, like him or not, has been one one of the most memorable figures, at least among coaches, in Brazilian soccer in recent decades.